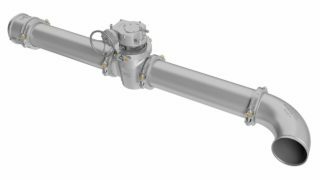 Victaulic announces another first in mechanical pipe-joining systems with the launch of the RG5200i Roll Grooving Tool, the world’s first “intelligent” roll groover. The RG5200i is an award-winning, fully automatic, intelligent grooving tool that transmits instant feedback on the quality of the pipe and the pipe groove. It provides a new level of confidence in the consistency and integrity of grooved pipe. The RG5200i roll grooves Schedule 40 carbon steel pipe from four to 60 inches in diameter (100 to 1500mm) and is designed to meet the specifications of the American National Standards Institute and the American Water Works Association’s C-606 standards for grooved and shouldered end joints. Unlike existing grooving tools, the Victaulic RG5200i roll grooving tool uses lasers and computers to set the depth of the grooving tool. To groove a pipe, the operator places the pipe-end between upper and lower rolls, selects groove and pipe details (size, material, wall thickness) using the touch-screen interface on a remote pedestal, and initiates the grooving process. After the grooving process is completed, the tool confirms that each dimension is within specifications, eliminating the need to measure the pipe manually. For any dimensions out of spec, the tool will display what adjustments are needed. The system documents and records each groove completed, easing traceability. The tool maintains safety in the fabrication shop by setting up a proximity “no-go” zone around the tool. If the safety zone is breached, the tool automatically suspends operation. In addition, operator interface has been incorporated into a remote pedestal, keeping the operator at a safe working distance from the tool. Two hand touch activation is required to prevent unintended starts. 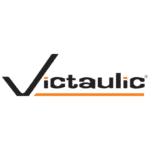 “When you look at accuracy, reliability, traceability and safety, Victaulic’s roll grooving solution is a perfect fit for Hill York’s priorities as a safety-conscious provider of value-added services,” added Aquilo. 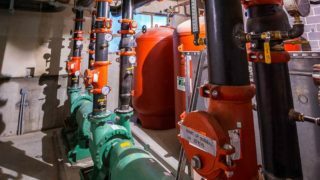 Consistency, reliability and accuracy are critical requirements for getting piping systems installed right the first time to avoid costly, time-consuming rework. The instant feedback delivered by the RG5200i is a huge benefit because it eliminates the risk of installing pipe that does not meet specifications, which helps ensure the long-term reliability of the piping system operation. Additionally, the RG5200i was recently recognized for excellence in product design in the 2016 Dealer Design Awards Program sponsored by The Air Conditioning Heating & Refrigeration News magazine. An independent panel of contractors, acting as judges in the contest, awarded the RG5200i the Bronze Award in the Electronic and Hand Tools category. For more information about the RG5200i roll grooving tool, visit www.intelligentgrooving.com or the Victaulic pipe preparation tools page for other pipe-grooving solutions.